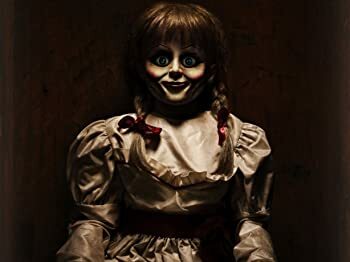 The fourth entry in The Conjuring universe, Annabelle: Creation serves as a prequel to the 2014 spin-off titled Annabelle, which served as a prequel to the original Conjuring film. And considering the critical drubbing that Annabelle received, this film makes for a delightfully horrifying time. Twelve years after the death of their young daughter, a former dollmaker and his wife decide to let a group of six orphaned girls and a nun move into their home. The film primarily follows two of these girls, Janice and Linda. There, strange events begin to occur that eventually lead to the creation of the eponymous character. Director David F. Sandberg, who made his directorial debut last year with the micro-budget horror feature Lights Out, crafts an atmospheric thriller that genuinely surprised me. Despite the generally positive critical reception that Lights Out garnered, I was underwhelmed upon first viewing. Despite some inventive scares, the film failed to take full advantage of its premise. However, that isn't the case for Sandberg's latest. Perhaps the film's most surprising attribute is the strong performances from the predominantly young cast, despite their relatively weak development. Lulu Wilson, who starred in another prequel-to-a-prequel (last year's Ouija: Origin of Evil) that received generally positive reviews, turns in a solid performance as the young Linda, who must contend with the haunting presence of the Annabelle doll manifesting itself into her best friend Janice. Wilson powers her way through any questionable character choices solely on the strength of her work. On the other hand, Talitha Bateman, playing the polio- afflicted Janice, handles her character's progression nicely, turning into a genuinely chilling presence as the film progresses. And despite being underutilized, Miranda Otto, who plays the Dollmaker's wife, gets some of the film's more shocking moments. While Sandberg is a bit too content to play around with genre clichés (we get the requisite amount of scenes involving possession of inanimate objects, crucifixes, praying, and characters opening doors that they probably shouldn't have opened), the film's R-rating feels liberating. Considering that Lights Out was rated PG-13, a lot of its scares never reached full intensity as they were often obscured or otherwise cut short. Sandberg doesn't use the R-rating to deliver heapings of gore and blood, but instead to fashion the film into something that feels refreshingly more atmospheric and intense when compared to his previous work. Indeed, Sandberg manages to (ahem) conjure up some shocking imagery as he uses some of these genre conventions in refreshing ways. In one particular scene, we painfully watch as an unseen entity breaks someone's fingers one-by-one as they clutch as a crucifix. This scene makes for one of the film's thrilling highlights, amplified by the atmosphere that Sandberg has established. Thankfully, Sandberg takes his time to establish these characters, refusing to rush into the scares without first making us care about who will be in the crosshairs. And we do care about these characters, especially Janice and Linda, whose friendship serves as the film's emotional core. While Sandberg unfortunately substitutes a bit of the build-up with a few cheap jump scares, by the end of the film the tension is palpable. Additionally, one of the better aspects of Sandberg's film is that it just feels well-made. Obvious care went into making a believable period setting (the film is set sometime in the late '50s) and it shows through every frame of the film. Cinematographer Maxime Alexandre's camera work also surprised me. In particular, a long take early on in the film that shows the young girls running through the house upon arriving shows that Sandberg cares more about crafting a solid horror film than most of today's horror filmmakers. 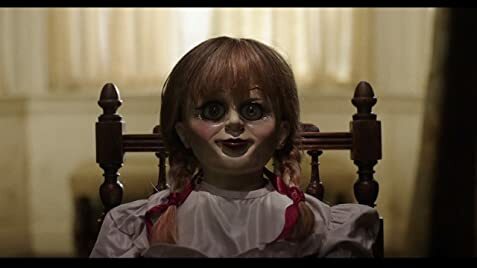 While Annabelle: Creation ultimately doesn't break any new ground or reach the high bar set by the film that inspired it, it still makes for a solid summer horror outing as the summer draws to a close. Featuring strong performances, a delightfully eerie atmosphere, and its fair share of scares, the film delivers on more of the potential that director David F. Sandberg exhibited on his debut feature. I will say, however, that I strongly dislike watching horror films with a big crowd. Keep the commentary to yourself, folks. David F. Sandberg was initially reluctant to direct the film, due to his general dislike of horror sequels. 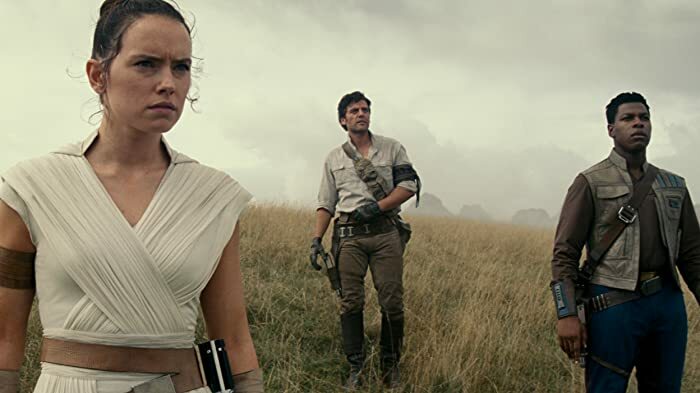 He changed his mind when it was clear he would be making a standalone prequel, with no major obligations to connect it to the larger franchise beyond a few brief references to the other films. There is no police investigation of the scene of Samuel Mullins' death after Sister Charlotte finds his dead body, for some strange reason. Right after the end credits, there is a clip inside a dimly lit hall in Romania. You will notice that the candles will go out one by one and then the outline of the "Demon Nun" appears, as a teaser for The Nun (2018).